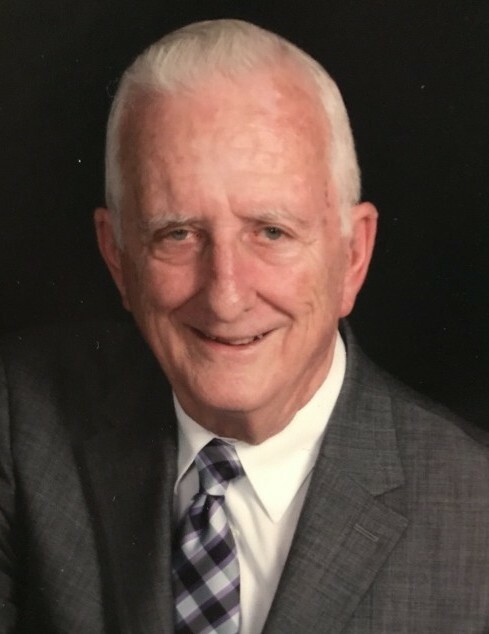 Raymond Eugene Hunter, “Ray”, 80, of Kill Devil Hills, North Carolina passed away on April 16, 2019 after a lengthy illness. Born in Boswell, Pennsylvania he was the son of the late Ralph Hunter and Aeleen Spiegel Hunter. After graduating from high school, he attended Cambria-Rowe Business School. Ray then moved to Laurel, Md where his good friend, Jim Fischetti, introduced him to Judy Sailer whom he married in April 1960. During their early years in Laurel, they welcomed 2 children, Kelly and Kim, and then moved back to Pennsylvania in 1963 where they quickly added three more daughters, Cindy, Barbie, and Susie. They returned to Laurel in 1967 and added daughter Stacy in 1970. Ray worked as an office manager for Harding Pontiac in Laurel and then went on to Wilson Pontiac in Silver Spring. 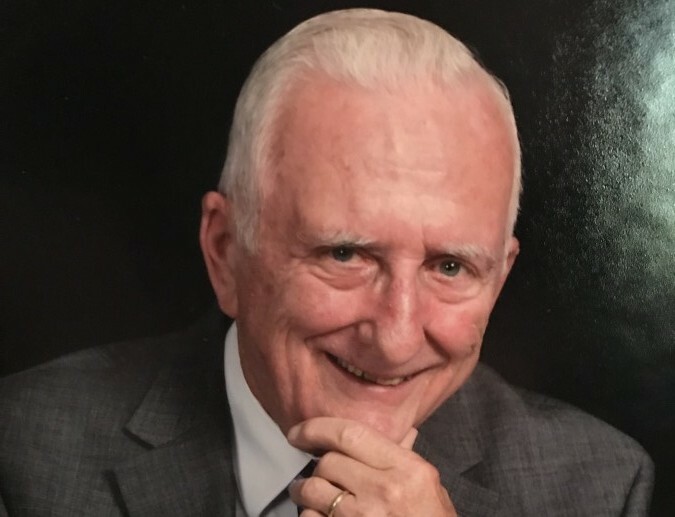 Ray was a member of St. Mary’s Catholic Church and was active in the Knights of Columbus. Ray and Judy moved to Kill Devil Hills in 1986 to run the family business, The Dip and Deli. He became a Eucharistic Minister at Holy Redeemer by the Sea Catholic Church and continued his work with the Knights of Columbus. He worked for R.D. Sawyer in Manteo NC as a salesman and office manager for 20 years. Ray is survived by six daughters, Kelly Fanto and husband, Stephen of Lewes, DE, Kimberly Clawson and husband, Eric of Clarksville, MD, Cynthia Shea and husband, John of Lewes, DE, Barbara Barclay and husband, Michael of Aydlett, NC, Susan Brinck and husband, Stephen of Lewes, DE and Stacy Thomas and husband, Karl of Lewes, DE; fourteen grandchildren and seven great grandchildren. He is also survived by a sister, Kathy Critchfield. Along with his parents, he was predeceased by his wife Judy, a granddaughter, Taylor Allison Barclay; and a sister, Donna Sterner.. Relatives and friends are invited to visit at the Donaldson Funeral Home, P.A. 313 Talbott Avenue Laurel, Maryland 20707 on Tuesday, April 23rd from 6:00 until 8:00 pm. A Funeral Mass will be celebrated at St. Mary of the Mills Catholic Church at 1:00 pm on Wednesday, April 24th. Burial will follow at St. Mary of the Mills Cemetery in Laurel, MD.